The Modern Library edition of The Voyage of the Beage. Whenever I used Darwin’s The Voyage of the Beagle as a text for Academic Writing at Ithaca College, the students and I celebrated the author’s birthday with a cake if Feb. 12 fell on a M-W-F. We devoured Wegman’s best vanilla sheet cake with white icing, lemon filled in the middle and blue letters for “Happy Birthday, Charles Darwin.” We may have left the classroom desks slightly smeared with gooey frosting as we honored the young man we had grown so fond while reading the Voyage and his letters home, available online at the Darwin Correspondence Project. The students were quick to sympathize with a young man who seemed aimless and unsuited for many professions. He had failed in both the medical and theological studies that his father pushed him into after college. He was UNPROMISING. Luckily, a mentor recommended him for what might now be called a gap year, room and board paid for, as he sailed around the world as a shipboard naturalist. Despite constant seasickness and homesickness, Darwin prevailed. Adrift and alone, he found a new way of looking at the world. 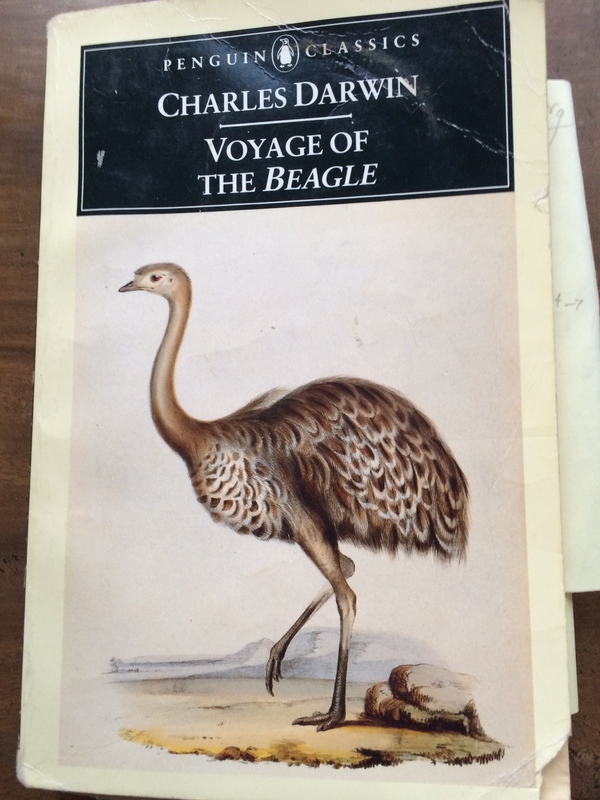 The Penguin Classics edition of the Voyage of the Beagle. The scenery is very uninteresting; there is scarcely a house, an enclosed piece of ground, or even a tree, to give it an air of cheerfulness. Yet, after being imprisoned for some time on a ship, there is a charm in the unconfined feeling of walking over boundless plains of turf. Moreover, if your view is limited to a small space, many objects possess beauty. They frequently wear their moustaches and long black hair curling down their backs. With their brightly colored garments, great spurs clanking about their heels, and knives stuck as daggers (and often so used) at their waists, they are a very different race of men from what might be expected from their name of Gauchos, or simple countrymen. Their politeness is excessive; they never drink spirits without expecting you to taste it; but whilst making their exceedingly graceful bow, they seem quite as ready, if occasion offered, to cut your throat. 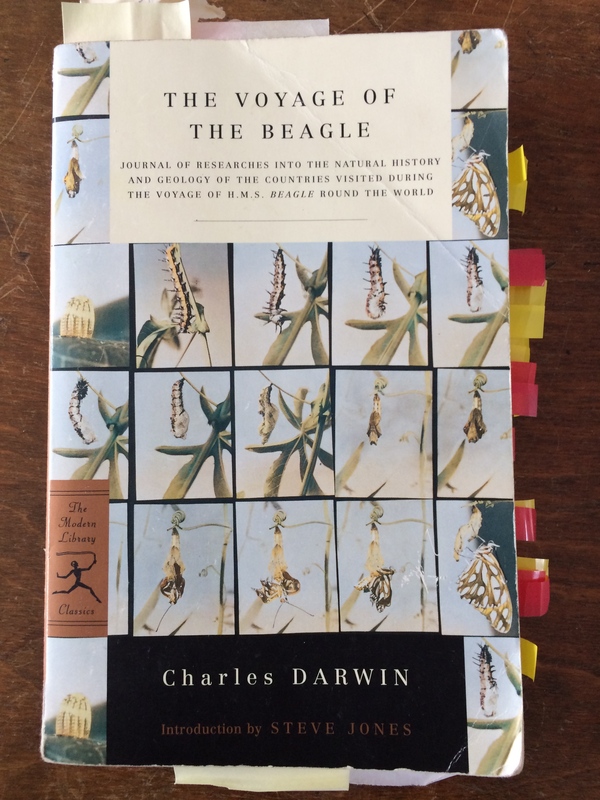 Darwin may have sipped their spirits to be convivial, but he stayed on task, making copious notes about the habits of every manner of flora and fauna, the four-footed as well as the two-footed. The tucutuco, which he writes can “be briefly described as a Gnawer,” is also a grunter, and is named for its persistent and resonant vocalizations. If one could only read one chapter in the Voyage, a good choice would be Chapter III. In its last few pages he describes his finding of the petrified lightning, also known as fulgurites. 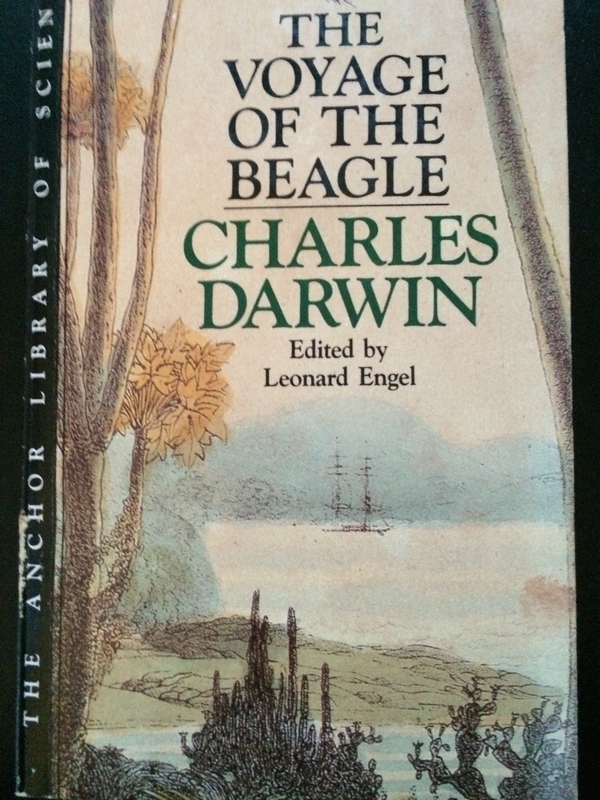 The Anchor Library of Science Edition of the Voyage of the Beagle. It being February 12, 2015, Darwin’s 206th birthday, and nearly Valentine’s Day, I have composed a prose poem/birthday card/Valentine trying to paint a picture of the young Darwin unearthing the almost invisible glass tubes from the sandy hillock near Maldonado. Darwin said at the end of his life that he could not read poetry, that his thinking had become too dependent on facts. This may be an occupational hazard for a naturalist. Darwin never embroiders or exaggerates, though he allows himself to talk about beauty. There is a serene, disinterested moderation in his description and diction. In my birthday card I have tried, however, to demonstrate the drama of this quiet moment, Darwin on his hands and knees noticing, noticing, noticing to 1/30 of an inch. My prose poem/birthday card/Valentine is meant to be literal, place based, and accurate with just a slight leaning toward the dramatic. striking 37 times, killing 19 people. the tyrant flycatcher, the carrion hawk, and the verbena. asking why the traveller scribbles notes. Oh, so you are a spy? Rosas asks. Yes, a spy of everything. prove the meeting of heaven and Earth. fusing them into threads of glass, petrified lightning. Darwin confirms that no event on Earth goes unrecorded. 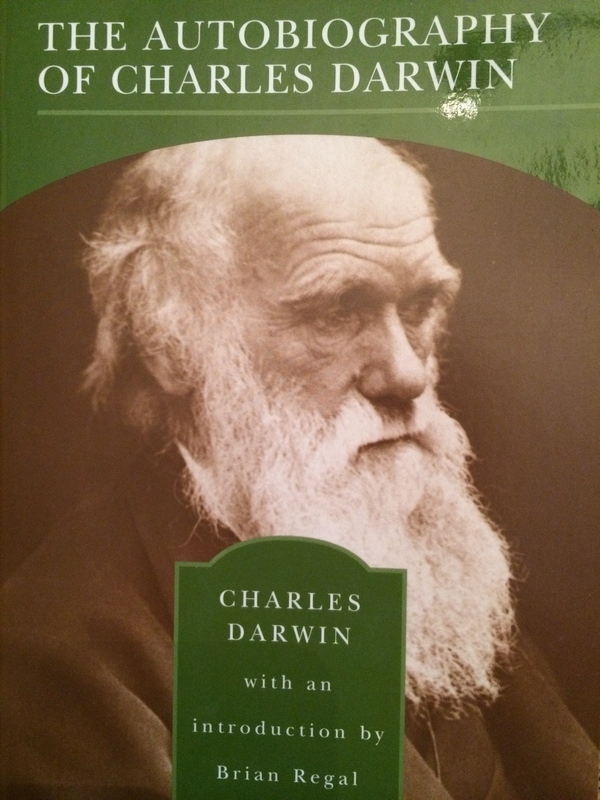 The Barnes & Noble edition of the Autobiography of Charles Darwin.